Interesting feature the heavy machine guns have with the pull cord, does anyone know if the cord itself is metal or nylon like a regular lawn mower cord? I believe they are steel wire and this is also used in AGLs too. 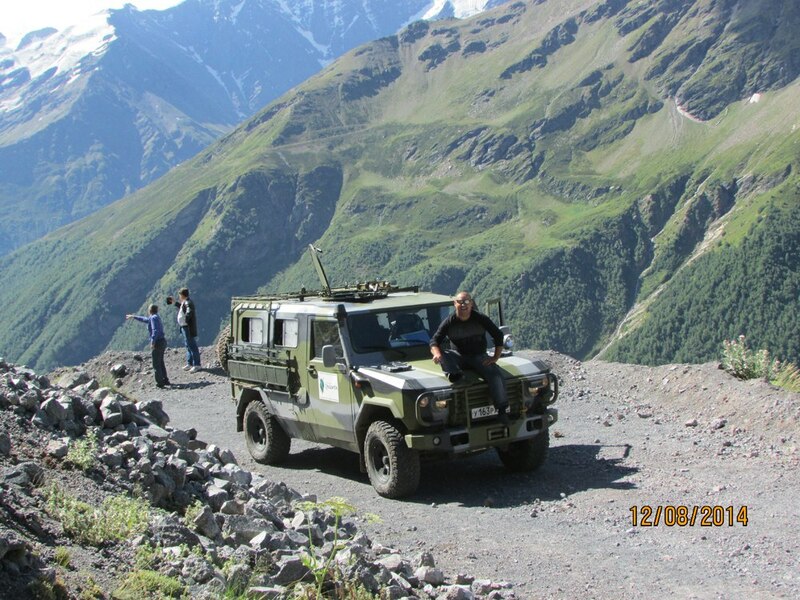 Looks like Skorpion is being tested in the Kavkaz mountains. Interesting enough, they show Tor on Tata truck chassis. I think the same complex's went on display at the Indian arms expos. The anticapitalists in russia, naturally are the only ones with enough balls currently vouching for justice against neoliberalism and the oligarchs that destroyed russia. Shoigu: the cost of state armaments program through 2025 will decrease from 55 trillion to 30 trillion rubles. MOSCOW, December 19. / TASS /. The cost of the state program of armaments to 2025 will be reduced from 55 to 30 trillion rubles due to the formation of facial features promising weapons and equipment with similar characteristics, the report said Defense Minister Sergei Shoigu at the enlarged meeting of the board of the military department. "The work on the formation of facial features advanced weapons and equipment with similar features and specifications. This will reduce the cost of the state armament program until 2025, from 55 to 30 trillion rubles, while maintaining the necessary amounts of equipment," - said in a report. 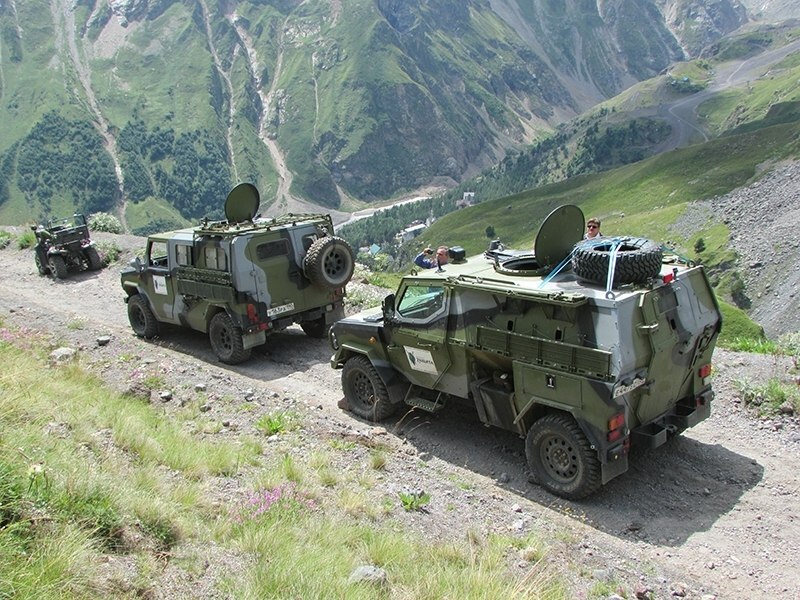 Cost of state armaments program through 2020 is about 20 trillion rubles. It is expected that almost 80% of the funds will be used to purchase high-tech weapons. The main priorities of the current state program include strategic nuclear forces, space and reconnaissance and communications. 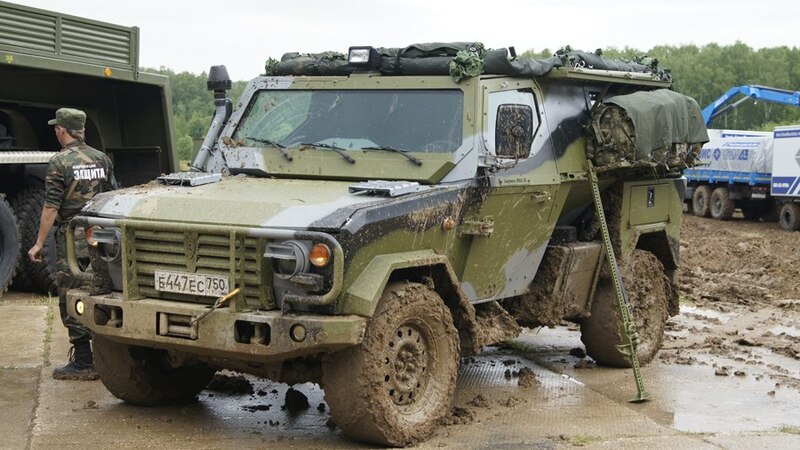 I'm impressed, these look like very practical UGV's. Real war machines, not the toys you usually see. 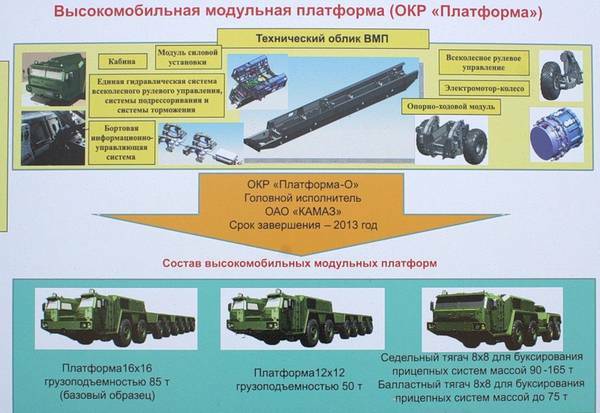 So this is what they had ordered for the year 2014 and which was delivered (Armament and Military Equipment). 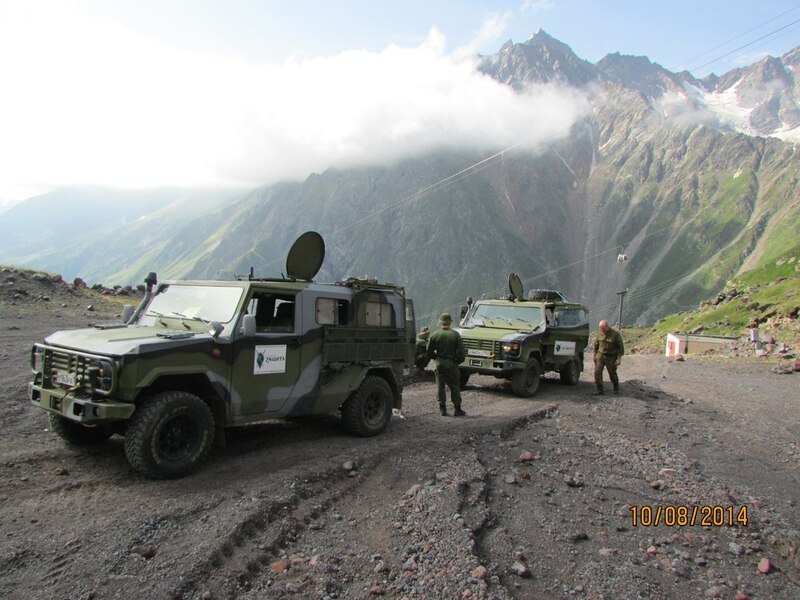 check the nice new facilities of Russia military.. Interesting armament... in the first and second photo the side mounted missiles seem to be two Krisantema/ataka/shturm missiles and two presumably either Igla or Verba SAMs, but the main gun appears to have a large calibre but a relatively thin barrel wall... suggesting a low pressure weapon... yet the long barrel suggests extended range... I would guess either a 30mm grenade launcher or a 40mm grenade launcher. 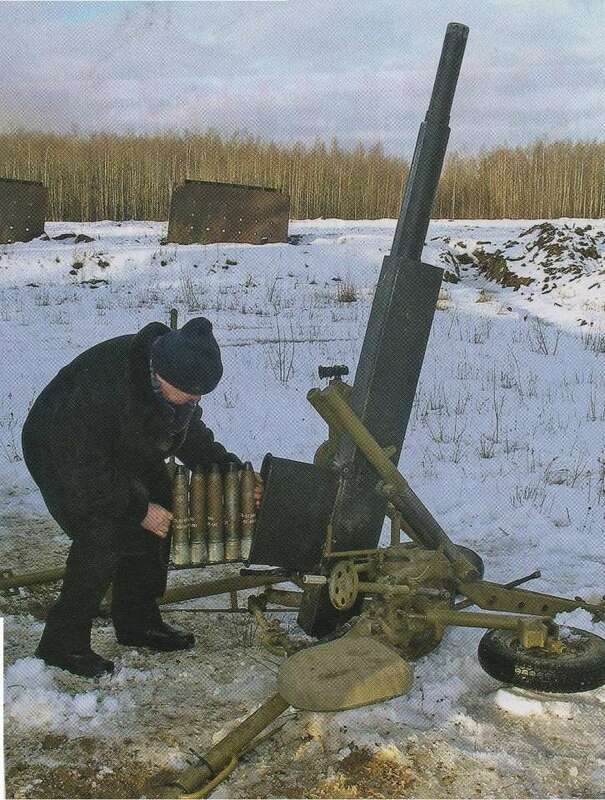 The third photo clearly shows the muzzle weight of the 2A72 30mm autocannon and comparing its size with the other guns the other guns could be 40mm or even 57mm calibre. 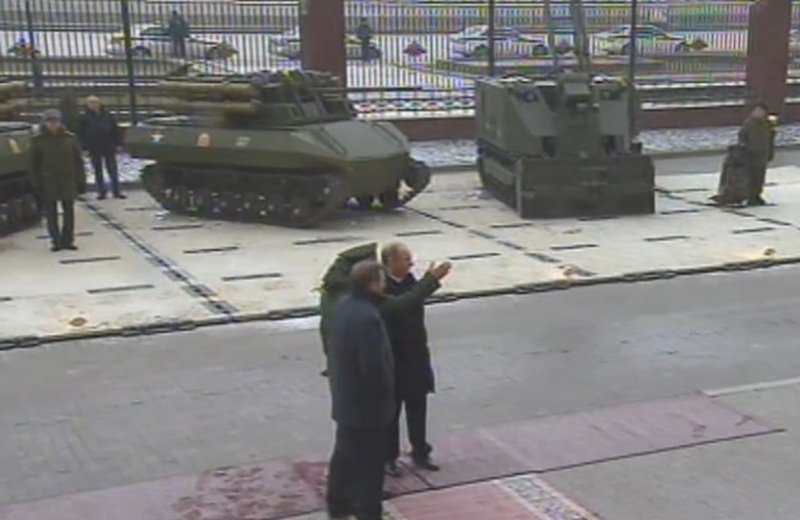 Maybe robots presented to Putin have mock up turrets. Anyway, I find it quite interesting to see both ATGMs and Igla missile on the same turret together with 2A72 gun. Like multi functional BMPT robot. ..And for good reason seeing how in the past 8 months Lukoshenko is looking more and more like a knucklehead, defending Porkyshenko's actions and now wanting to mend relations with the U.S. State Dept despite the fact that they tried to finance a color revolution against him. He's the polar opposite of Nazarbayev, he's as stupid as stupid could be! 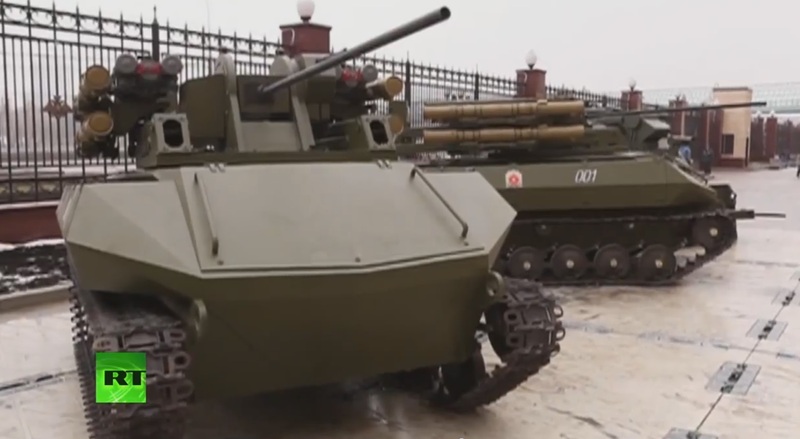 Perhaps its variety of weapons suggests a perimeter guard robot or perhaps even an ambush robot that can defend itself from aircraft, ground vehicles, and of course infantry. the early prototype has a very large calibre tube gun... perhaps it is the 57mm grenade launcher that has been shown as competition for the 40mm Balkan? Presentation of the system KLEVOK.